Below are the courses available to Wellington clubs. Get Started Flyer: This Module is designed to give coaches an introduction to squash coaching and basic techniques of the game. Big Nix Flyer Mod 3: It provides the coach with information around Athlete Development, Child Protection, General Movement, Squash Coordination, Tactical Awareness, and Training Structures, This resource is directed at the Big Nix (9-12 years) community, and therefore does not cover some of the broader aspects of coaching. It will however provide the learner with an opportunity work appropriately and effectively with young children with improved confidence and knowledge. Hydration and Nutrition Flyer: This coaching module is designed to give coaches the tools and information that they need to inform their athletes about “HYDRATION & NUTRITION” in Squash. 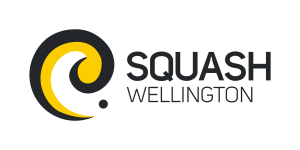 This module will provide the coach with information around the nutritional needs of squash players, how to obtain optimal nutrition and recovery through proper nutrition planning, and information on female nutrition problems, travelling and supplementation. Managing The Mind Flyer: This coaching module is designed to give coaches the tools and information that they need to develop basic mental skills with squash players. It provides the coach with information concerning motivation, goal setting, concentration, confidence, effective debriefing, stress management and competition/training strategies. Women: The purpose of this module is to provide squash coaches with knowledge and information as to how we can best coach female athletes effectively. This resource will look at approaches to coaching, some of the key differences between coaching males and females as well as some ideas to engage more women in the game of squash. Conditioning: The purpose of this extension module is designed to give squash coaches the tools and information that they need to provide effective conditioning programmes for squash players at a level appropriate to their stage of development. This module provides the coach with information around training principals and variables, warming up and down, fitness components, season planning and periodisation, speed and agility, session plans and testing protocol. This resource is designed as an introduction to squash conditioning, and therefore does not cover the more detailed aspects of the science of conditioning. This Conditioning module does however provide the learner with an opportunity to gain a good understanding of conditioning and how to implement an effective programme with improved knowledge and confidence.